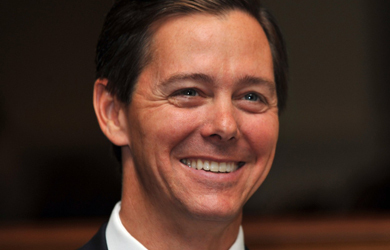 Fresh off last week’s Road to Majority conference, during which Ralph Reed said the Faith and Freedom Coalition would commit $18-20 million to turning out conservative voters in this year’s mid-term elections, Reed is out with a fundraising pitch warning that a Democratic takeover of the House would lead to the impeachment of President Trump. A Saturday afternoon breakout session at Road to Majority was devoted to a discussion of Faith and Freedom Coalition’s door-to-door operations in 2016 and plans for an expanded version in 2018. Reed has bragged that the group knocked on 1.2 million doors, made 10 million phone calls, and distributed tens of millions of voter guides and mailers in 2016, and he’s pledged that they will do even more this year. He cited a Democratic representative saying there would be “a good likelihood” that articles of impeachment would be introduced if Republicans lose control of Congress. Patriot, I don’t have to tell you how impeaching a President without any evidence that he committed a single solitary crime would shatter our democracy and destroy our Constitution. Never before have we seen such a politically-motivated witch hunt. And never before have we seen leaders in Washington so dead-set on taking down the President of the United States. The only way to stop them is by defeating them at the ballot box. 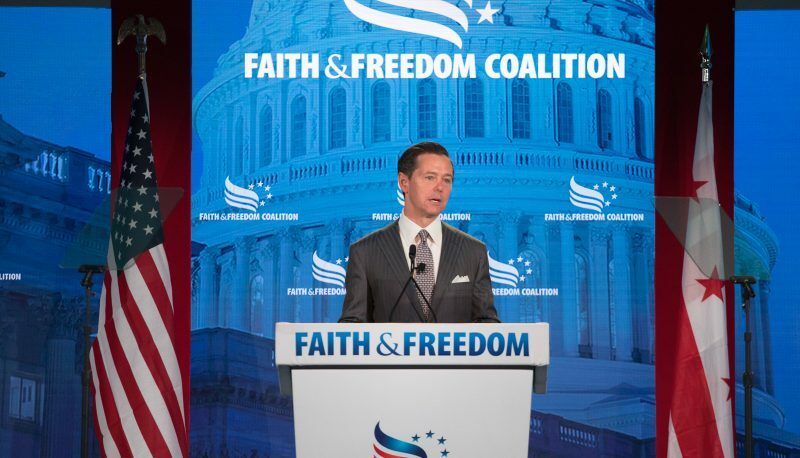 That’s why Faith & Freedom is dramatically expanding our 50-state grassroots army—and doing all we can to mobilize tens of millions of Christians and conservatives to the polls all across the nation. But the good news? The American people are finally waking up to that fact. Over the past few weeks, liberals have been in a free-fall on the “generic ballot”—and, according to the latest Reuters poll, Republicans are now leading for the first time since President Trump was elected.